September is the ninth month of the year. However, when March was the first month of the year, September was the seventh month. Its name derives from the Latin septem, or seven. When Julius Caesar made January the first month, September became the ninth month. Over the years September has had twenty-nine days or thirty-one days. Then Augustus changed the number of days to thirty. The sapphire is the gem for September. 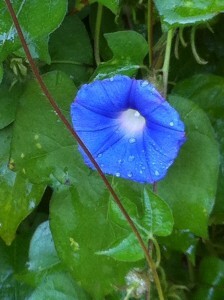 Its flower is the morning glory. Children’s Eye Health and Safety Month reminds adults of the importance of eye care. Children can visit a website at: Prevent Blindness. Library Card Sign-Up Month stresses the importance of libraries for children. Children can visit the American Library Association website at: Library Card. Idea: Children might want to read Jerry Spinelli’s The Library Card. The book shows how four children’s lives changed when library cards were issued to them. National Honey Month lets us know that bees produce over 230 million pounds of honey a year. Children can visit a website at: Honey. National Hispanic Heritage Month is celebrated from September 15 through October 15 by Presidential Proclamation. President Gerald Ford expanded the celebration from a week to a month in 1974. September 15 was picked as the beginning because five Latin American countries, Costa Rica, El Salvador, Nicaragua, Guatemala, and Honduras, celebrate their independence on that day. Mexico and Chile celebrate their independence within a few days. Children can learn more at: Hispanic Heritage Month. National Farm Safety and Health Week is recognized by Presidential Proclamation for the third week in September. President Franklin D. Roosevelt first paid tribute to the event in 1944. This year the dates are from September 16 to September 22. This year’s theme is “Putting Farm Safety into Practice.” Children can learn more at: Farm Safety and Health. International Week of the Deaf, the last full week in September, celebrates American Sign Language and deaf culture. This year the dates are from September 24 through September 30. Labor Day occurs on the first Monday in September. The holiday was probably first observed in 1882 in New York City by the Carpenters and Joiners Union. The holiday grew in popularity, and over half the states were celebrating Labor Day by 1893. President Grover Cleveland made it a legal holiday in 1894. This year Labor Day is celebrated on September 3. Children can learn more at: Labor Day. 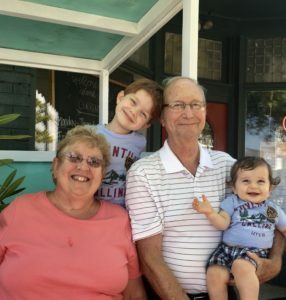 National Grandparents’ Day is the first Sunday following Labor Day. It was made a holiday by Presidential Proclamation by Jimmy Carter in 1978. This year National Grandparents’ Day is September 9. Rosh Hashanah, New Year in the Jewish calendar, begins Sunday, September 9, at sundown and concludes Tuesday, September 11, at sundown. Constitution Day is September 17. The Constitution was unanimously approved the Constitutional Convention September 17, 1787. Children across the country learn about the Constitution and its signers. Yom Kippur, the Day of Atonement in the Jewish calendar, begins Tuesday, September 18 at sundown and concludes Wednesday, September 19, at sundown. September Equinox, the first day of fall, is Friday, September 23. Children can learn more at: September Equinox.